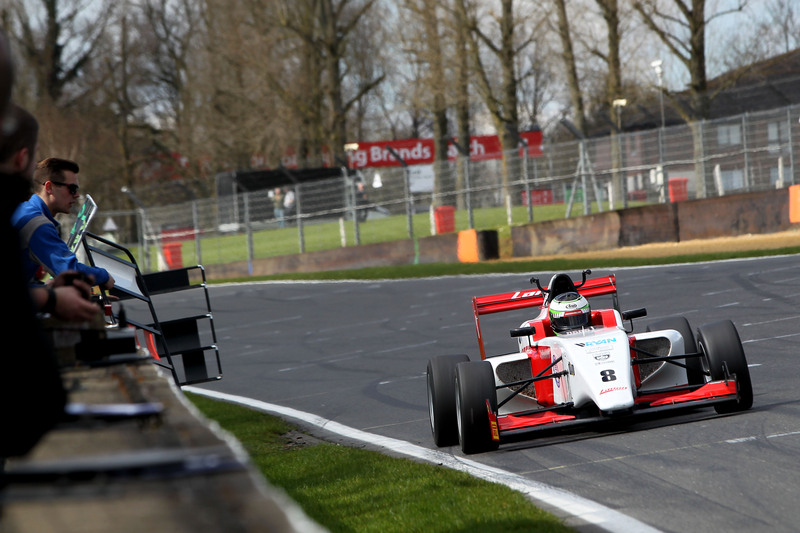 Toby Sowery moved into the BRDC British Formula 3 Championship lead thanks to his first win of the season at Brands Hatch on April 16-17. Team-mate Akhil Rabindra remains 19th in the standing after collecting ninth in race three, his best finish of the year so far. Having finished on the podium in two of the opening three races of the season, Sowery repeated the feat at Brands Hatch on the Grand Prix circuit. A fast start in the first race of the weekend secured third place and his third podium in as many races, before another great start set him on the way to victory in race two. Forced to start from the pitlane in race three, he clawed his way to 13th. Rabindra's weekend ended on a high note, taking home ninth place in race three and round six of the season. A coming together in the pack of the opener ended his first race early, putting on the back foot for race two when he finished 15th. BRDC British Formula 3 returns to action at Rockingham Motor Speedway on April 31- May 1.